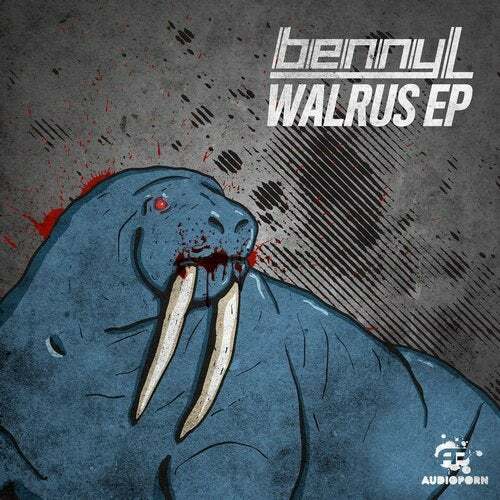 Following the overwhelming success of his debut Granulate EP on Audioporn Records, Benny L makes a return to the label with Walrus EP, further cementing himself as part of the new-wave of up and coming drum and bass producers with his minimalistic, yet expertly crafted sub-heavy hitters. Benny L teams up with dnb veteran MC Coppa on the title track, Walrus which digs deep into the groove of the bassline to deliver immersive and atmospheric stages with stunning simplicity. Way Out West brings halfstep business with a stomping sub line on the drop that kicks straight into your guts; while Scorchio and Lava roll out like their titles suggest, sealing this latest offering from Benny L as a straight up deep & dark EP with a stream of hot boiling distorted sub absorbing anything and everything in its path. One listen to this EP will convince any trainspotting dnb aficionado that Benny L an artist to watch out for.